Bitvavo - How can I deposit funds using SEPA (bank transfer)? All Categories ​>​ Deposit & Withdraw - Euros ​>​ How can I deposit funds using SEPA (bank transfer)? How can I deposit funds using SEPA (bank transfer)? 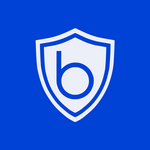 Login to your Bitavo account. Put in the amount you want to deposit to your Bitvavo account and choose “Bank transfer”. The bank account, the name and description which you should use for your SEPA or bank transfer are given. Please note: it is important to always check the description, because the description will be different for each bank transer. If you would like to have the funds immediately on your account, you can use one of the other pament methods.